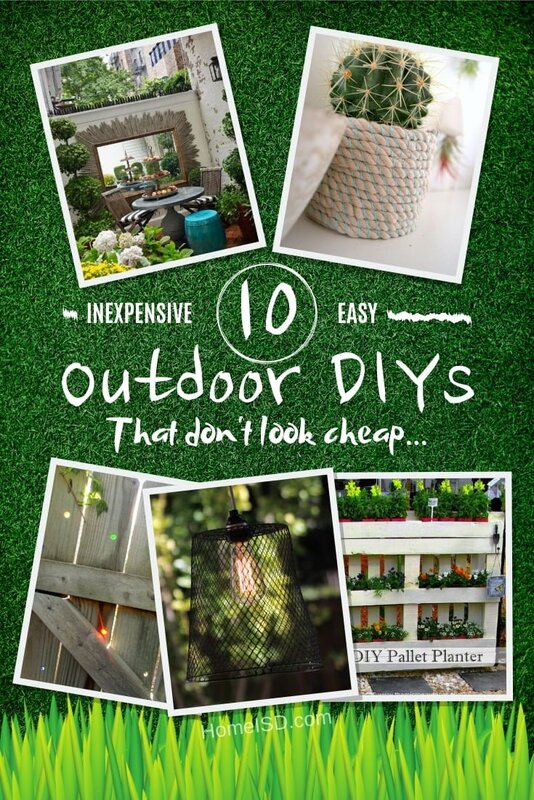 It’s spring and it’s time to go outside to do a DIY project that will improve the look of your backyard or garden. If you don’t consider yourself a crafty handyman and don’t think your DIY will look that good, we’re here to help. The following DIYs aren’t complicated and definitely aren’t expensive, and at the same time, they will not look cheap or poorly made. So let’s go outdoors and make something nice. 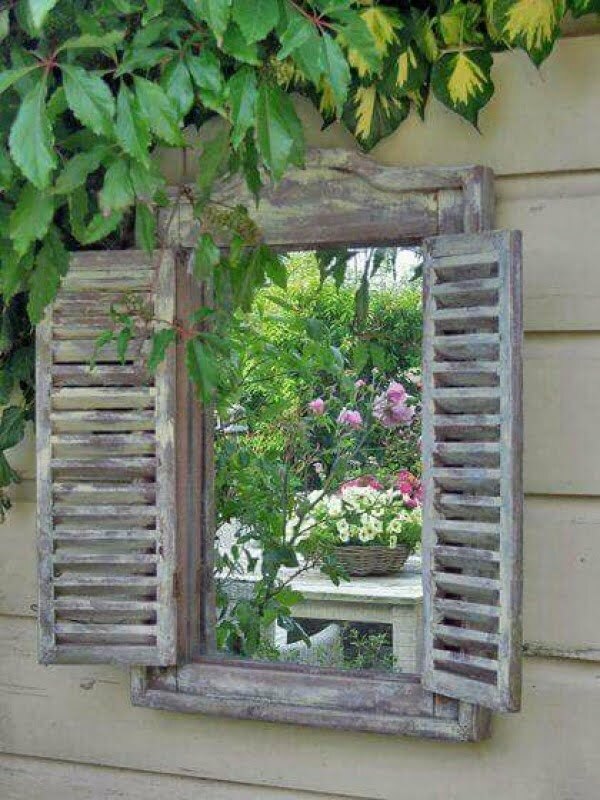 Frame a mirror in an old shutter for a faux window on the wall or the fence, or if you’re up for a little challenge, make a sunburst DIY mirror frame out of sticks. 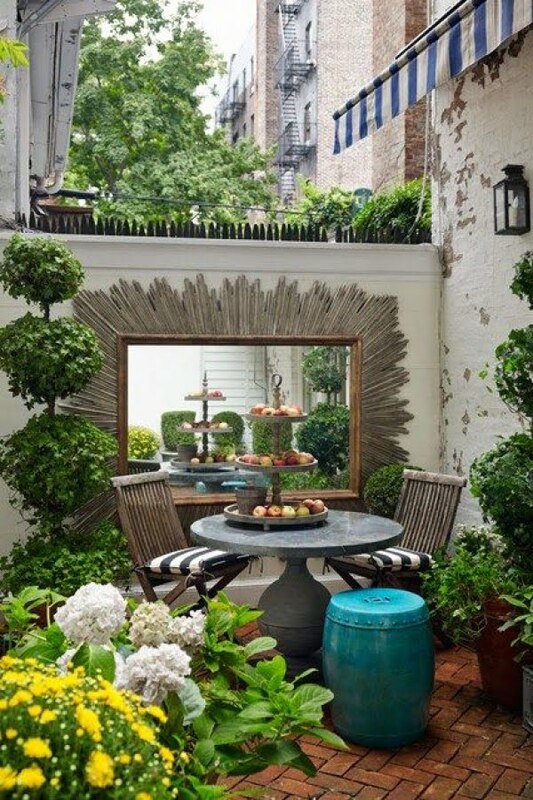 A big mirror will make a small garden look bigger too. It’s easy to make out of a cheap dollar store basket and this light fixture works great in the backyard or the porch. Add some style to the plant pods by using simple rope. This version doesn’t even require glue so it’s perfect for outdoors. This easy to make mason jar lantern will add some romantic lighting to your backyard. Add some accent style to your small garden with these brilliant spoon markers. Tiki torches are awesome to add to your garden and you can make them at very little cost out of old wine bottles. Attract live nature to your garden with an easy to build teapot bird bath. This project is a little more elaborate but it’s not expensive and you can do it over a day. The result is all worth it. 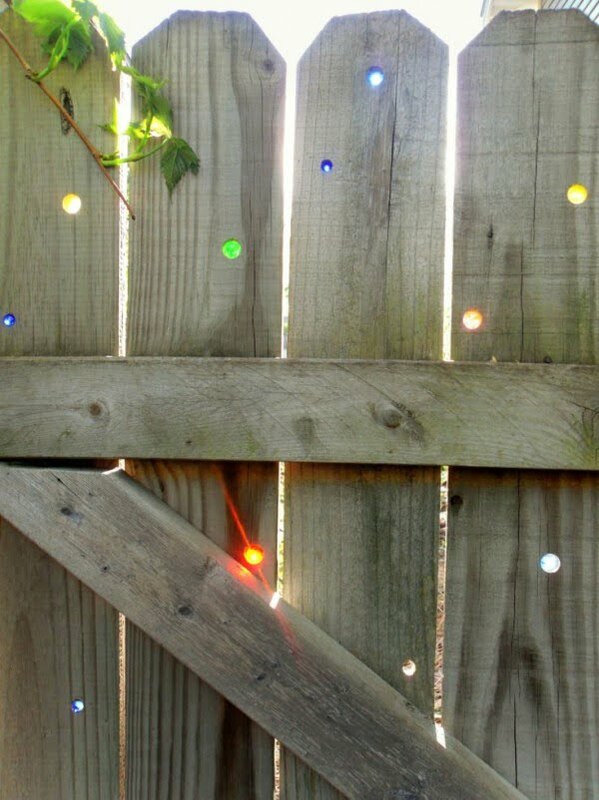 Add some pizzazz to your garden by gluing colored marbles to the fence and watch them come alive in the sunlight. 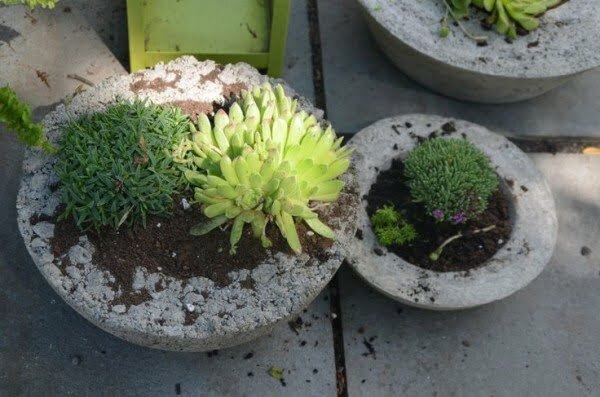 Concrete plant pods are brilliant but they cost quite a pretty penny in stores. However, you can make them yourself at a fraction of the cost.